Fabulous property located on a cul-de-sac. This is what you have been looking for! Wonderful front porch invites you into the home. Entering the home you will be welcomed by the Hardwood Floor Entry, large Dining Room and Bonus Room (you decide how you want to use it). Incredibly large Kitchen with Granite, Kitchen Island, Eating Space and Cabinets to store more than you can imagine. 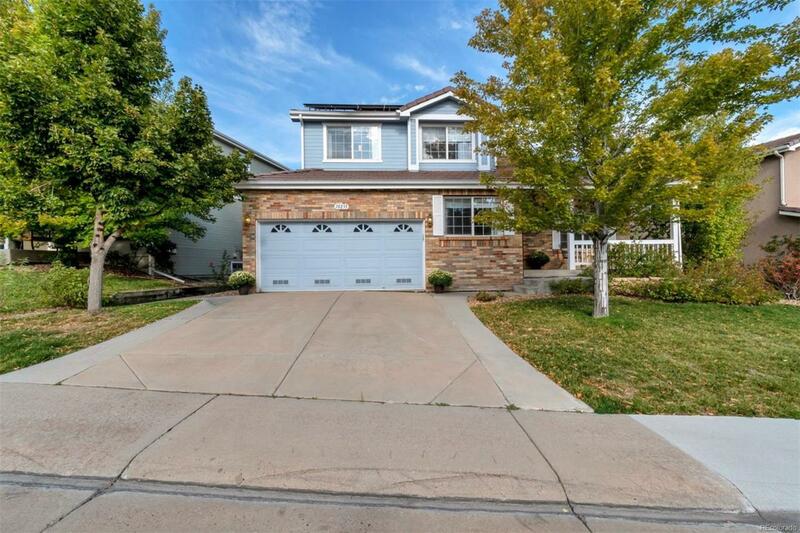 Large Family room on main level with gas fireplace and patio door leading to lovely back yard. Main floor also has 3/4 Bathroom and main floor laundry, mud room. Second floor features Master Bedroom with double doors ensuite bathroom and walk in closet. Two additional bedrooms with ceiling fans and additional full bathroom. This home also features a Central Vacuum system to clean the whole home. The Basement is very large with tall ceilings waiting for your personal touches to finish however you desire. Stop looking, this is Your new Home! 14 Month Home Warranty provided with the purchase of this home!